#55HUCK—Ultimate kitchen & cleaning towels. Towel has been tightly woven which is great for durability and longevity. Huck weave has a little texture which is nice for added cleaning power. These towels are widely chosen by establishments that need to separate each department by color coding them. These colorfast towels (towels that do not bleed) are extremely low lint, durable and highly absorbent. #56HUCK—Doctors and Dentists Preferred Surgical Towels! New and never been used. Looks no further, you will NOT find a better quality! Truly the best on the market. 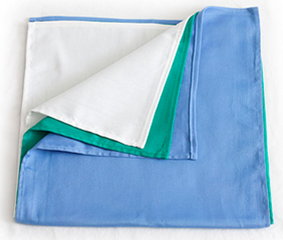 Large in size and heavy weight towels that look and feel superior even after many machine washings. Durable and long lasting. 100% cotton, extremely low lint and absorbent. Ultimate kitchen towels ready for your favorite designs.